True Admission: I really have no idea who is playing in this year’s Superbowl…I only watch for the commercials and the food…Football is not my thing. Marketing, Food, Yep- those I find interesting. But Anywho..this week I’m posting a few Superbowl Snick Snacks. Great to serve or great to take elsewhere. 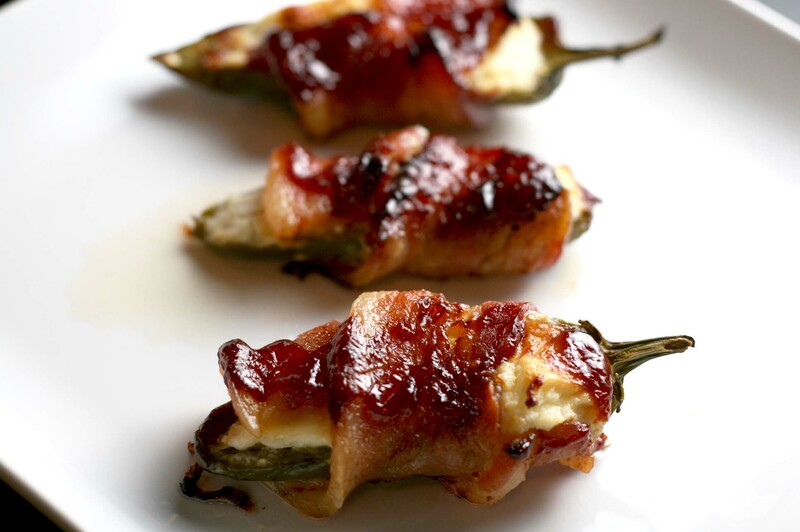 Jalapenos Stuffed with Cheese and Sweet Wrapped in Bacon Smothered with BBQ Sauce. Some call them Jalapeno Poppers but I think of those as the fried chain restaurant kind (blech.) 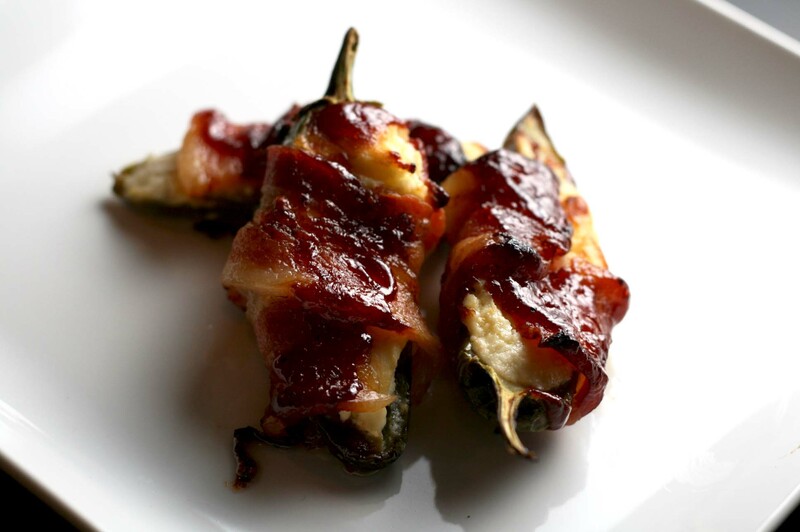 So we shall from this time forward call these Bacon Wrapped BBQ Jalapenos. 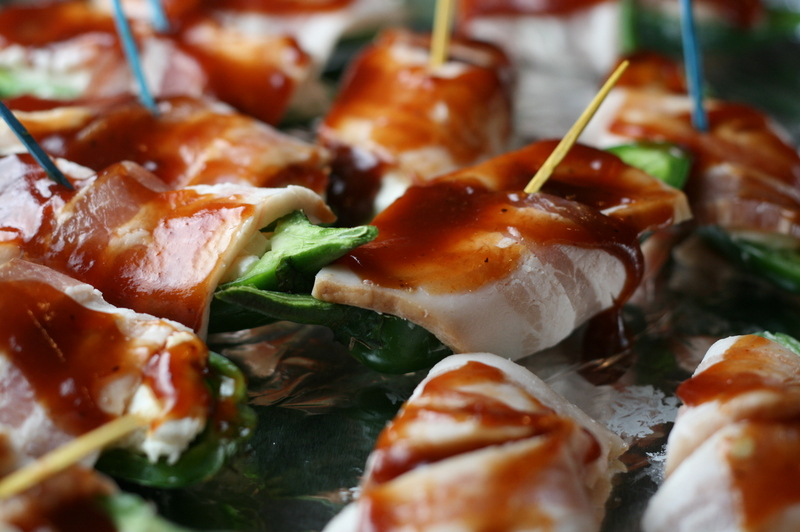 Upon a search, there are hundred different variations of this easy appetizer. I played around with the ingredients and found a happy medium. Because I like sweet with salty- I added some crushed pineapple to the cream cheese mixture. The barbeque sauce is definitely sweet so omit the pineapple if you want. These are probably (definitely) not good for you and not low calorie, low cholestrol but we’re talking American past times- football, sitting on the couch, eating. I know I have offended some..sorry.. Interesting enough my spellcheck does not recognize Jalapeno and wants to auto-correct it to Galapagos? Another interesting tidbit- my six year old took all the pictures! Can we say art savant? So get yer self some Jalapenos- however many you think you’re going to serve. I bought 8, so it made 16 little biters. Marumodern and I ate all but 2. They are kind of addicting. Shoot pic. Eat evidence. That was sort of the rhythm of this recipe post. If you are making them for a party, figure 4 pieces per person maybe a few more depending on the gastronomical habits of your guests. This recipe is totally adjustable. Totally forgiving. Totally easy. Because these were so easy. I didn’t really take all the step-by-step pics. Let’s just take a moment to enjoy the pics by a SIX YEAR OLD! Really?! Crazy, I think. Pig wrapped and ready for oven-lovin’. Um, are those two jalapenos above snuggling? Adorable. 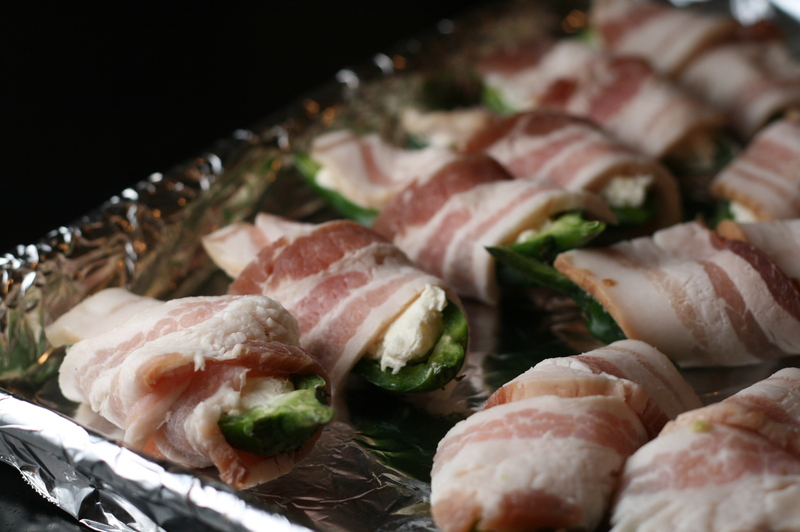 Even jalapenos love bacon. Up soon on Ye Olde blog, the stromboli that got me invited back to a Superbowl party and earned me a new nickname by a man whose name translates in to english as Garbage Can. Hmm, interesting. 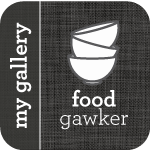 This entry was posted in Starters & Sides, Uncategorized and tagged bacon, bbq sauce, cheese, jalapeno, jalapeno popper, spicy, superbowl appetizer. Bookmark the permalink. 1 Response to Salty. Sweet. Spicy. Crunch. Superbowl Snack. I made these for a Super Bowl party and they were, in a word, awesome! A huge party favorite.